Sarah Rockey is a skillful public relations and social media strategist with extensive knowledge of the trends, technology, and influencers needed for making connections across both the traditional and digital worlds. She has experience in an eclectic range of industries; from developing marketing campaigns for the performing arts and events industry, to building brands and bringing awareness to companies and products across B2B and B2C clients in a fast-paced agency environment. From there, she took her skills in-house, translating complex technology concepts into integrated digital strategies to drive recognition, relevance and resonance on a global scale. She is currently the corporate public relations and social media manager at ON Semiconductor, where she was recently honored with the 2016 Employee of the Year award. 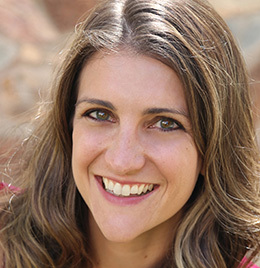 Her second year on the IABC Phoenix Board, Sarah will be responsible for identifying and executing innovative ways to reach, engage, and connect Valley communicators as well as be responsible for the organization’s digital presence. Sarah is an avid runner – from where all her bright ideas originate and which provides great training for chasing her toddler.